→Sauna Before or After Workout? Some people prefer to schedule in a sauna session before exercising. A light sauna session before workout helps to warm up the body and loosen up the muscles which is important before starting your exercise. A short sauna session before your workout can also be used to stretch the muscles, especially those that will be used most during your upcoming workout. It’s important that you find that perfect balance and don’t stay too long in the sauna before you start your workout. 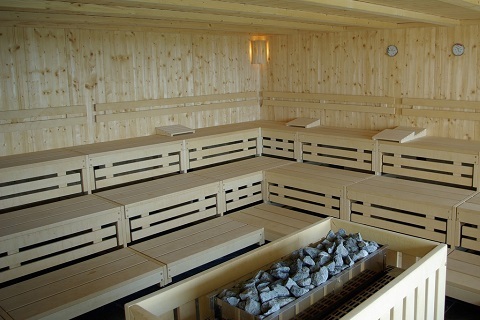 A sauna session has a relaxing effect on both the body and mind. But when you exercise, you’ll need to be alert. Using a sauna also elevates your heart rate and it makes you sweat. This is great, but you don’t want to overdo this when you still need to exercise, otherwise you won’t perform very well. In short, a sauna before workout is fine as long as you keep it short. It should really only be done to help warm up the body. And always drink water during and after your sauna session. Dehydration is one of the most important things to avoid when exercising. Most people though prefer to use a sauna after they’ve done their workout. This makes sense because a tired mind (and body) naturally wants to relax and a sauna can help with this. 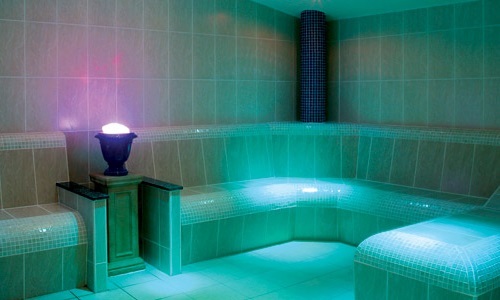 A sauna session not only relaxes the mind, it also helps the muscles to relax after an intense workout. This benefits the overall recovery process for your muscles. Sitting in the heat for a while leads to more sweating. This helps to further break down that lactic acid in your body. It also helps to remove other waste that the body has built up in joints and muscles during exercise. The heat of a sauna also keeps the heart rate going. 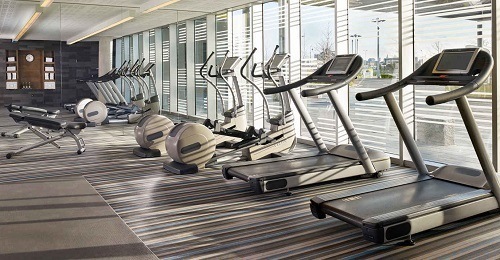 In a way, this prolongs your workout as it simulates a light cardio session. The main reason why many people would advise against using a sauna after workout is that the heart rate should gradually go back to normal after finishing a workout. A sauna session typically does the opposite. While this may be true, it needs to be put in context. If you’ve had a super intense workout and your heart rate is very high, I wouldn’t recommend using a sauna for another hour. In that case, a very short sauna session would help to relax the body and mind. Recovering from a workout and lowering the heart rate back to normal levels can be seen as a gradual process. A short sauna session can help in that process. So instead of going from super intense to normal, it may be a good idea to squeeze in a short sauna session after your (intense) workout to help your body (and heart rate) to gradually recover. How Long Should You Be in the Sauna? How long that sauna session should be is dependent on the individual and also how intense the workout was. For some, a 10-minute session will suffice, while others can easily spend a half hour in the heat. Always use common sense and listen to your body. It’s also good to have a cold shower after sauna so that your body can cool down and put a stop to that excessive sweating when you don’t want to sweat anymore. Sauna use before or after workout depends highly on the individual and on the intensity and type of training session. In general though, using a sauna before workout is fine as long as you keep it short and sweet. It helps with that initial warming up, but as soon as you start sweating it’s time to leave the sauna and get ready for your workout. Using a sauna after workout helps to relax the body and muscles and to gradually lower the heart rate to healthy levels. It also helps to break down lactic acid and to remove other waste that the body has created during the workout session. The best advice is to do what you feel works best for you, as long as you listen to your body.